In most cases, glaucoma is associated with higher-than-normal pressure inside the eye - a condition called ocular hypertension. But it also can occur when intraocular pressure (IOP) is normal. If untreated or uncontrolled, glaucoma first causes peripheral vision loss and eventually can lead to blindness. There are two main types of glaucoma, open angle and closed angle (angle closure) glaucoma. Closed Angle Glaucoma (acute glaucoma) can come on suddenly, and the patient commonly experiences pain and rapid vision loss. (chronic glaucoma) - progresses very slowly. Low-tension Glaucoma - another form in which though eye pressure is normal, optic nerve damage still occurs. Pigmentary Glaucoma - this type generally develops during early or middle adulthood. Glaucoma often is called the "SILENT THIEF OF SIGHT", because most types typically cause no pain and produce no symptoms until noticeable vision loss occurs. The most common types of glaucoma - primary open-angle glaucoma and angle-closure glaucoma - have completely different symptoms. Don't wait for noticeable eye problems. 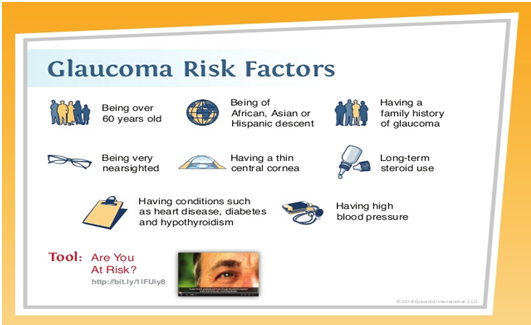 Every three to five years after that if you don't have any glaucoma risk factors. If you have other risk factors or you're older than age 60, you should be screened every one to two years. Halos around lights may be the symptoms of an acute angle-closure glaucoma attack. If you experience some or several of these symptoms together, seek immediate care at an emergency room or at an eye doctor's (ophthalmologist's) office right away. 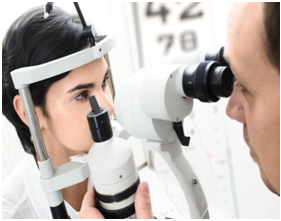 Measuring intraocular pressure: Tonometry is a simple, painless procedure that measures your internal eye pressure (intraocular pressure), after numbing your eyes with drops. It's usually the initial screening test for glaucoma. Test for optic nerve damage. To check for damage in your optic nerve, your eye doctor uses instruments to look directly through the pupil to the back of your eye. Your eyes are numbed for this test, which determines the thickness of each cornea, an important factor in diagnosing glaucoma..
Other tests. 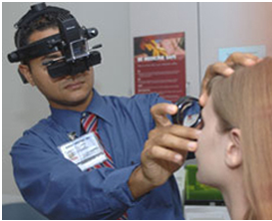 To distinguish between open-angle glaucoma and angle-closure glaucoma, your doctor may use a technique called Gonioscopy in which a special lens is placed on your eye to inspect the drainage angle. Other tests, such as imaging tests, have been developed and may sometimes be used. Laser treatment, which uses high energy beams of light, can be used to open up the blocked trabecular meshwork (drainage tubes) within your eye. This is called lasertrabeculoplasty. Laser treatments are usually quick and painless, although during the procedure you may feel a brief twinge of pain or heat. You may still need to use eye drops after having laser treatment. Speak to your surgeon to find out more about your procedure and risks involved. If you are having surgery, your surgeon may choose to use anti-scarring medicines. an optometrist - a healthcare professional who examines eyes, tests vision and is trained to recognize eye diseases and vision defects. The main complication of glaucoma is loss of vision that can't be repaired. This is why early diagnosis and treatment is so important. If you have surgery to treat glaucoma, there is always a risk of infection. Most infections can be treated with a course of antibiotics. You may also have a reaction to certain types of eye drops. Speak to the healthcare professionals treating you if you feel unwell while being treated for glaucoma. 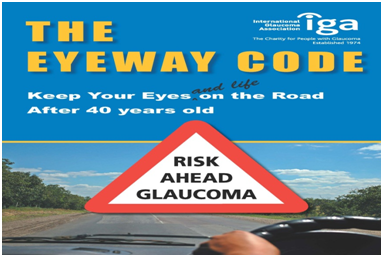 If you have glaucoma, it could affect your ability to drive. It's your legal obligation to inform the Driver and Vehicle Licensing Agency about a medical condition that could affect your driving ability. Childhood glaucoma - also referred to as congenital glaucoma, pediatric, or infantile glaucoma - occurs in babies and young children. It is usually diagnosed within the first year of life. Individuals with diabetes and hypertension may also have an increased risk of developing open-angle glaucoma (OAG). 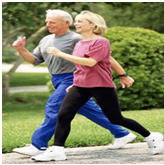 Aerobic exercise (walking, jogging or cycling) lowers IOP, even after 5 minutes. This reduction is greater with longer duration and higher intensity. 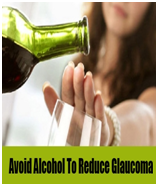 It may have more effect in individuals with glaucoma. IOP can almost double within 20 seconds when playing a wind instrument, but returns to baseline almost immediately. The inverted position in yoga has been associated with significant increases in intraocular pressure in some people and could lead to worsening of glaucoma. 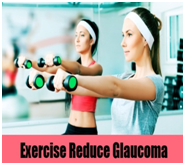 Exercise can be dangerous for patients who have Pigmentary glaucoma. Vigorous high-impact exercise causes pigment to be released from the iris, which increases eye pressure. Talk with your doctor about an appropriate exercise program. Eat a healthy diet. Eating a healthy diet can help you maintain your health, but it won't prevent glaucoma from worsening. Several vitamins and nutrients can help improve your vision. Some people with glaucoma have "low vision". Low vision means there may be problems doing daily, routine things even if using Glasses or contact lenses. With glaucoma, this can include loss of contrast sensitivity (the ability to see shades of the same color), problems with glare, light sensitivity, and reduced visual acuity (the ability to see fine details). 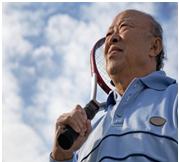 A variety of products and resources are available to help people who have low vision. Examples include magnifiers, colored lenses, and computer text enlargers. 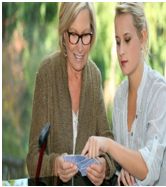 If you have low vision concerns, help is available. Discuss your concerns with your doctor. As a newly diagnosed person with glaucoma, you may need to have your eye pressure checked every week or month until it is under control. It is important that your doctor listens and responds to your concerns and questions, is willing to explain your treatment options, and is available for calls and checkups. If you do not feel confident and comfortable with your doctor, remember, you always have the right to seek a second opinion. 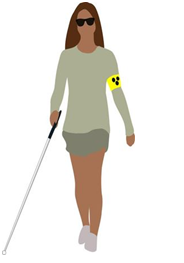 Some medications may cause you to experience strong side effects. Be sure to tell your doctor about any side effects you experience once you have started your medication. Make your medications part of your daily routine, perhaps by taking them when you get up, at mealtimes, and/or at bedtime. Use an alarm watch to remind you of when to take your medication. Get an extra supply of medication in case you misplace a bottle of eye drops or pills. Take an extra prescription along with you on trips away from home. It's important that you tell everyone on your healthcare team - including your family doctor and any other specialists - that you have glaucoma and what medications you are taking. Let your doctor know if, for any reason, your medications are not working for you, or if your daily routine has changed. Your doctor may be able to solve such problems by changing the type or timing of your medications. Keep a record of each medication you are taking. Write down the name, the dosage, and the number of times it should be taken each day. Keep it in your purse or wallet, or place it where you will see it every day. Schedule your next checkup before you leave the doctor's office, and put your appointment on your calendar. Go for a checkup before you go on a long trip or start a long-term, demanding project. Write down any questions you have about your eyes, vision, or medications before you see your doctor. During your checkup, bring the list of questions, and write down your doctor's answers. Try to keep your eyes clean and free of irritants. Women might want to be careful about eye cosmetics, by using non-allergenic brands and by replacing them often. Don't rub your eyes, even though some glaucoma medications might make them feel itchy or blurry. If you have had eye surgery, it's a good idea to wear goggles when swimming and protective glasses when doing yard work or when playing contact sports. Eating healthy foods, getting enough exercise, not smoking, not ingesting too much caffeine, and staying at a healthy weight are important. 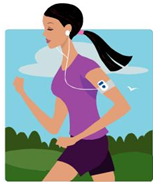 Be sure to check with your doctor before you start any strenuous exercise program. Space out your fluid intake. This will help prevent fluid retention. Glaucoma has another side-the emotional and psychological aspects of having a chronic, sight-threatening health condition. When you are first diagnosed with glaucoma you may experience worry, fear, helplessness, depression, or lethargy. Take the time to learn about the disease and you'll find that there are many steps you can take to help manage glaucoma. Even if you lose some of your vision, you can work with low vision rehabilitation counselors to learn how to continue leading an active life. As a glaucoma patient, you have the chance to teach your friends and relatives about this disease. Many people are unaware of the importance of eye checkups and do not know that individuals with glaucoma may have no symptoms. You can help protect their eye health by encouraging them to have their eye pressure and optic nerves checked regularly. You can continue with what you were doing before glaucoma was diagnosed. You can make new plans and start new ventures. Take good care of yourself and your eyes, and get on with enjoying your life. Share your feelings with loved ones so they can be supportive. Glaucoma can cause the eyes to be very sensitive to light and glare. Medications can worsen this problem. Sunglasses solve this problem and are important for prevention of cataracts. Protective sunglasses do not have to be expensive. But it is important to select sunglasses whose product labels state they block at least 99 percent of UVB rays and 95 percent of UVA rays. Polarized and mirror-coated lenses do not offer any protection against UV radiation. It is not clear if blue light-blocking lenses, which are usually amber in color, provide UV protection. Black raisins soaked overnight in water along with the water in which they are soaked and water kept overnight in a copper vessel. Raw vegetable salad and sprouts such as green gram beans, with lime juice dressing an cottage cheese or buttermilk. 6. Avoid coffee and caffeinated beverages into reduce increased blood pressure if you already have glaucoma.